Mirrorfit, the trading name of Sumner Mirrors and Glass Limited, is a London-based company specialising in a wide range of mirror solutions including showers, splash backs, glass counters and mirrored walls. We provide a professional and comprehensive service from processing your order at our London factory, to cutting, polishing and bevelling it to your exact requirements. We then securely and safely deliver this, usually within 5 days, straight to your front door. We offer delivery to all areas within London and the M25. Many of our competitors use third party glass companies to process their orders, often resulting in compromised quality. However, at MirrorFit we both process and deliver your mirror from start to finish, we can guarantee the quality and the best price. Since being established in 2008 we have provided products to a wide range of customers including: Ladbrokes, Marks & Spencer, Starbucks and of course thousands of private individuals just like you. What a professional service, I would certainly recommend Mirrorfit to friends and family. Having fitted a new kitchen I was looking for a splashback that would really set it off. I contacted Mirrorfit and not only did they provide me with a superb solution they came and fitted it too. 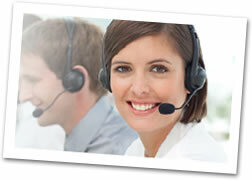 Please contact our 24hr advice line on 020 8675 8584 or enquire here. 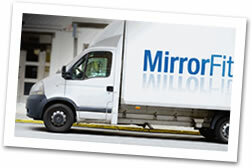 Mirrors are normally processed and dispatched within 5 days and glass within 10 days. We offer a fast delivery service to London, within the M25 and the following counties: Surrey, Kent, Essex, Bedfordshire, Berkshire, Buckinghamshire, Hertfordshire, West Sussex, East Sussex and you can also choose to collect your product at our London Factory. For UK deliveries outside these areas please see the delivery charges at checkout.